I love that fur you are wearing! So chic and fab! 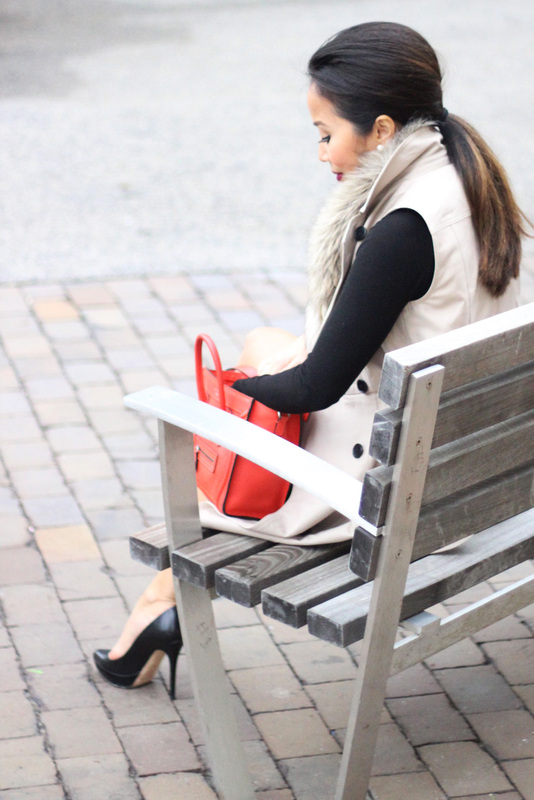 Love how you layered the sleeveless trench over the pullover to create a chic look. And the fur stole is very beautiful, making your ensemble looks so sophisticated! I also like how the red bag adds some color to the otherwise monochrome outfit to make the whole look more vibrant. Gorgeous!